It’s all but guaranteed that every boiler, chiller, AHU (air handling unit) or pump is plastered with someone’s sticker. Most HVAC service contractors put some sort of sticker on the equipment that they maintain. You’ll probably find their branding and a phone number. On the rarest of occasion there might actually be some helpful information attached, like a written log of visits. These stickers are like some kind of territorial claim. They might as well be the logo of your favorite hockey team, because there’s no real value to the them beyond that. You certainly won’t find any dynamic information. 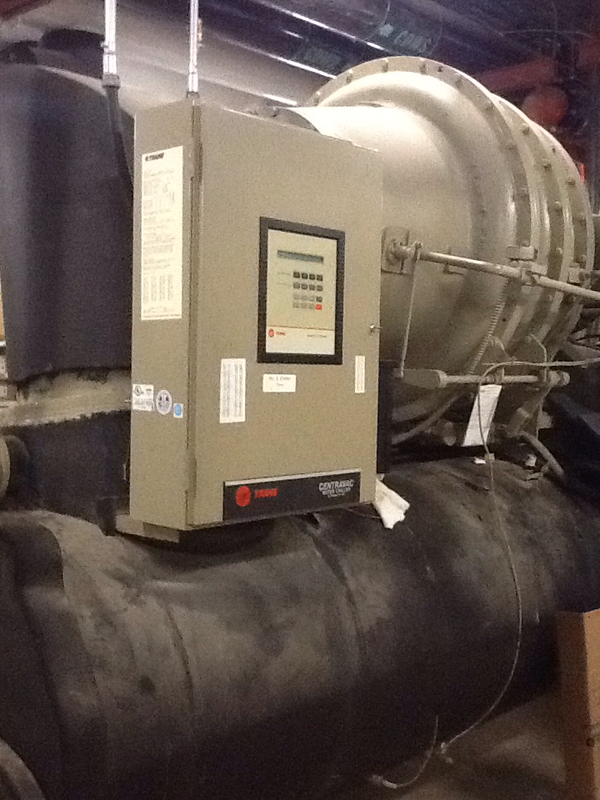 Information about an HVAC system should be of value to any technician while working on site. There’s no doubt that the majority of today’s stickers are of minimal value to the customer. They sure don’t provide much value when a phone number is changed. It’s possible and simple to turn these stickers from meaningless into meaningful. Keep your branding and phone number on it, but you’ll add significant value by including a QR Code. With a smartphone and/or a tablet, by scanning the QR Code there’s a wealth of valuable information available. help with familiarizing to a new building or piece of equipment with pictures, layouts, diagrams or schematics. 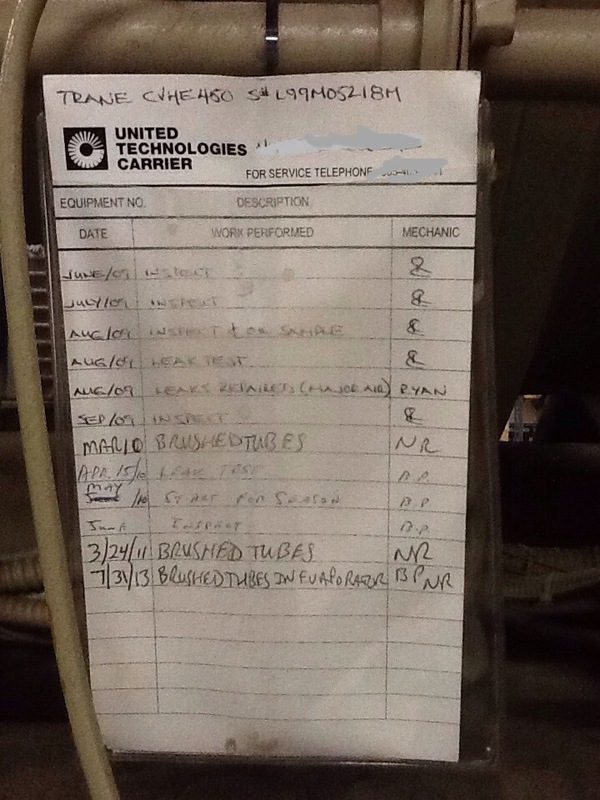 seeing what issues a machine is having or has had, and it’s full maintenance history. inspection forms that are specific to that piece of equipment. This ensures the proper full inspection takes place, and the inspection form can be specific to whatever maintenance contract is in place for the equipment. You’re doing exactly what is needed, no less – no more. 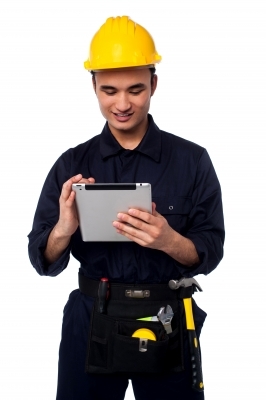 an electronic inspection form has simple check boxes and dropdown menus for easy completion. Once completed it’s automatically saved electronically so there is a permanent record. It can easily be shared with billing, with the customer, with dispatch, etc. It’s eliminates shuffling paper. technical diagrams for the piece of equipment – depending on the unit, this may be very useful to see electrical or other diagrams. along with diagrams, user manuals or other technical manuals that are specific to that piece of equipment can be very handy. parts lists can also be supplied, particularly for parts that need regular replacement – like filters or valves. You could also have a list of alternate suppliers, etc. work orders – the QR code can also be used to complete the work order. An electronic version of the work order is easy to complete on a device, again using check boxes and dropdown menus to minimize having to enter any data. Again it’s saved electronically once the work is done, and then picked up and shared by billing, dispatch, the manager, or the customer. custom information about the piece of equipment – just about any information specific to the equipment, such as warranty dates, model numbers, serial numbers, likely replacement date, etc can be accessed. QR codes are a simple way of delivering valuable information on a mobile device, while making you more productive in the field. With access to extremely useful information that might not otherwise been available without making a bunch of phone calls, or worse having to go off site to research, it’s a huge upgrade over most of today’s stickers. As well your customer can scan the same QR code to get valuable information. They can even use the QR Code to electronically place a service request. If the machine seems to be malfunctioning and in need of repair, they scan the code and can even add a photo to their service request which goes directly to your dispatch or you. You’ll be adding real value for your clients. As well your clients can scan the QR code and see all your inspections. This assures them that the machine is being properly maintained, and will provide them additional piece of mind. 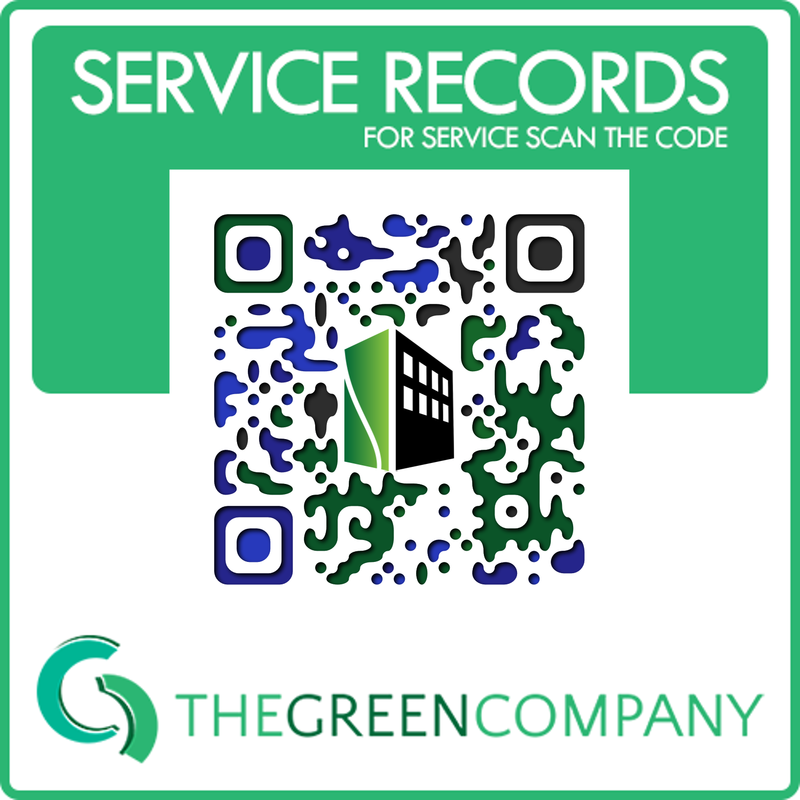 Being a service contractor is tough business and very competitive, but you can stand out from your competitors with a simple QR code. Don’t compete by driving prices down, start delivering more value by differentiating how you service your clients. Be responsive and give them more peace of mind and they will value that. This will ultimately help you generate more business. For less than a dollar per piece of equipment, Builtspace will help you add that value to your business and to your clients, and do so quickly, simply, and inexpensively.